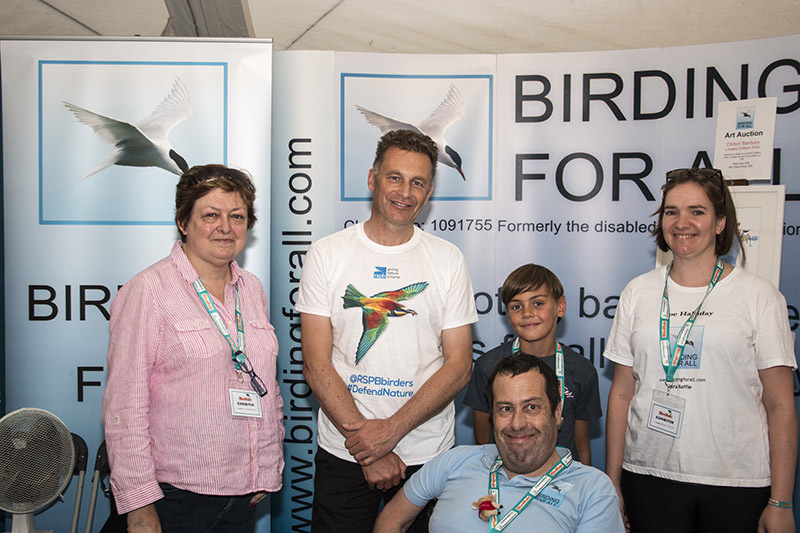 The British Birdwatching Fair (Birdfair 2015) at Rutland Water has always been one of the highlights in the Birding For All calendar and this year was no exception, not only is it a great place to sign up new members and raise much needed funds (see above) it is also a great place to meet friends old and new. 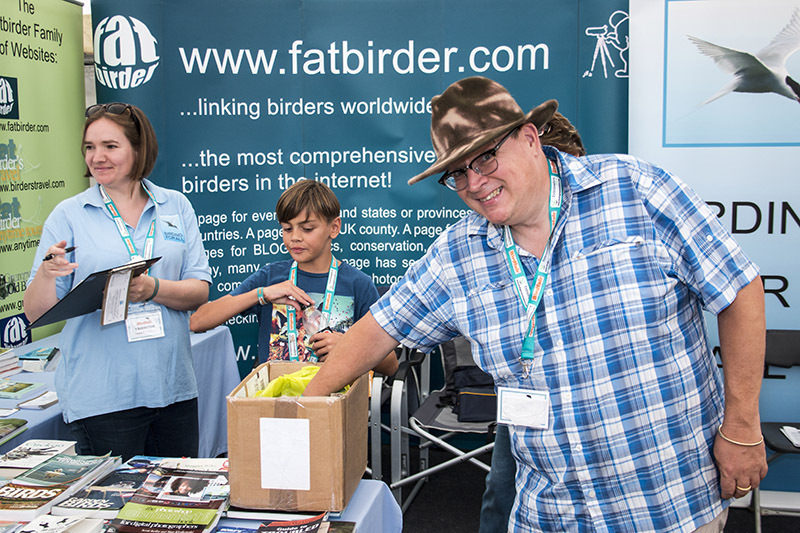 As always at events like this, the celebrities of the birding, and environmental, world were out in force, virtually all stopping by for a photo op. 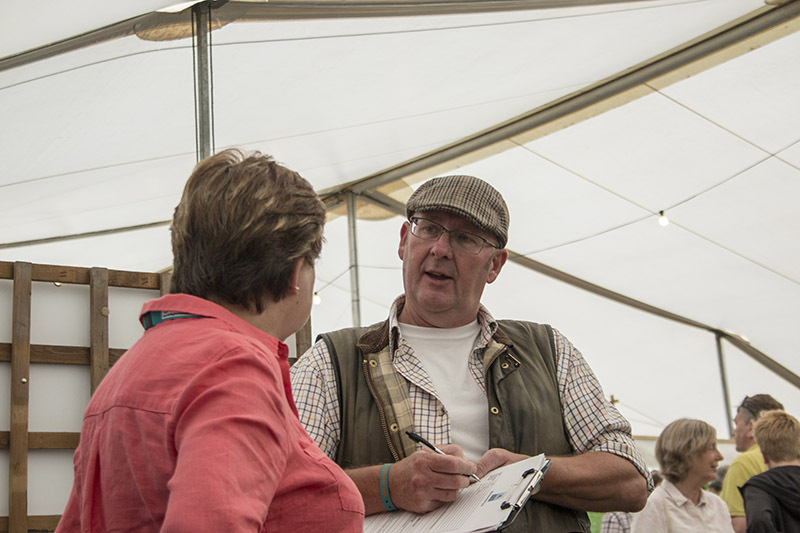 (you’ll see them dotted about the newsletter), and this year we managed to sign up another great patron. 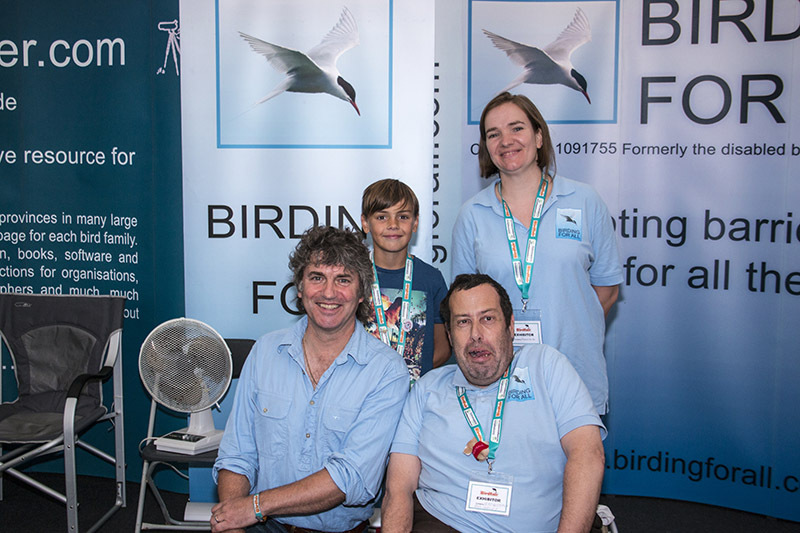 The wonderful presenter of Springwatch Martin Hughes-Games. 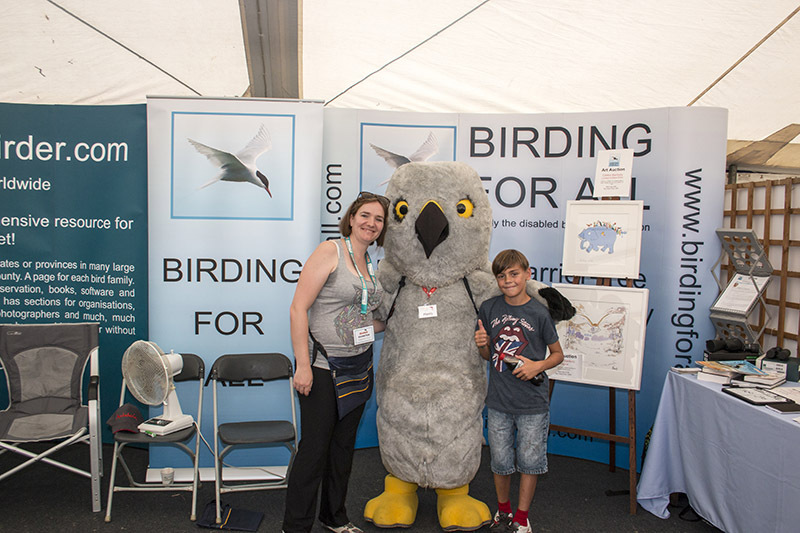 This year regulars will have noted a couple of new members of staff on the BFA stand, Ann Davies our membership secretary (more from Ann later) and young Toby Beolens, the third generation of Beolens now volunteering for the charity, who joined his dad (Ashley) and grandad (Bo) working hard, spreading word of the charity to passers by, and gaining a reputation of being an absolute star. He also managed to come away with more freebies than anyone I’ve met and pretty much out did us all!